I wanted to use the picture with the man wearing sunglasses at the beach. 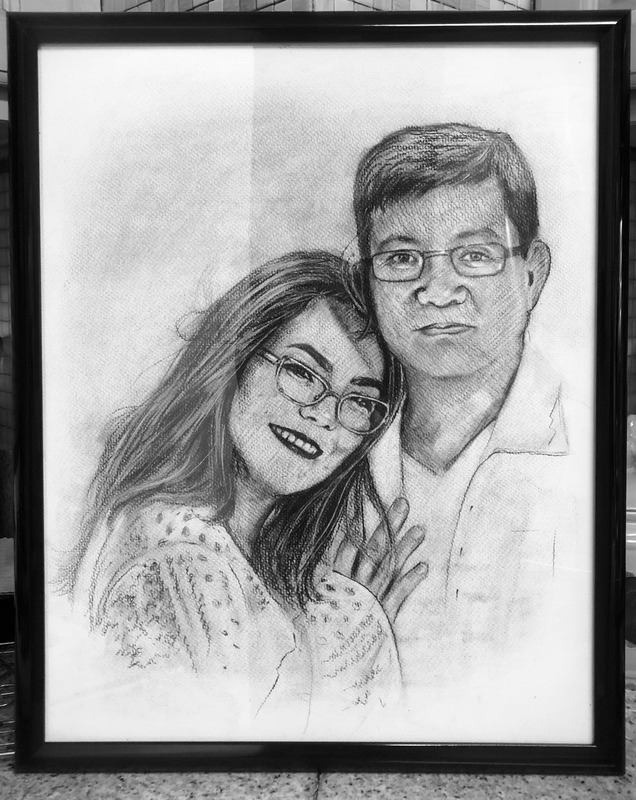 But I don't want him wearing sunglasses so we can see his eyes in the charcoal portrait that you will create. I sent several pictures of the man so you can re-create his eyes.